Who invented the April Fools Joke? Here's how Wikipedia encyclopedia defines it. 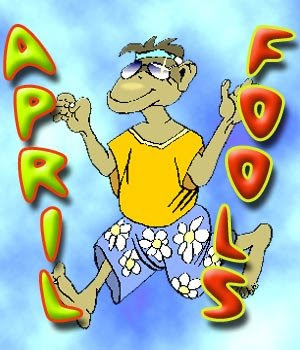 "April Fools' Day or All Fools' Day, although not a holiday, is a day celebrated in many countries on April 1. The day is marked by the commission of hoaxes and other practical jokes of varying sophistication on friends, family members, enemies, and neighbors, or sending them on a fool's errand, the aim of which is to embarrass the gullible. Traditionally, in some countries, the jokes only last until noon: like the UK, Australia, New Zealand, Canada and South Africa, someone who plays a trick after noon is called an "April Fool". Elsewhere, such as in Ireland, France, and America, the jokes last all day." and I am grateful that my tire was good, I still have a job and my mother can still call me and provoke an April's Fool joke out of me.